A submarine (or simply sub) is a watercraft capable of independent operation underwater. It differs from a submersible, which has more limited underwater capability. It is also sometimes used historically or colloquially to refer to remotely operated vehicles and robots, as well as medium-sized or smaller vessels, such as the midget submarine and the wet sub. Watercraft, also known as marine vessels or waterborne vessels, are vehicles used in water, including ships, boats, hovercraft and submarines. Watercraft usually have a propulsive capability and hence are distinct from a simple device that merely floats, such as a log raft. A submersible is a small watercraft designed to operate underwater. 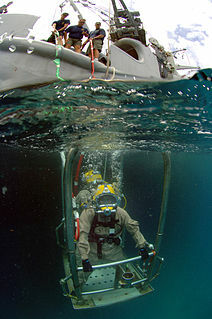 The term submersible is often used to differentiate from other underwater vessels known as submarines, in that a submarine is a fully autonomous craft, capable of renewing its own power and breathing air, whereas a submersible is usually supported by a surface vessel, platform, shore team or sometimes a larger submarine. In common usage by the general public, however, the word submarine may be used to describe a craft that is by the technical definition actually a submersible. There are many types of submersibles, including both crewed and uncrewed craft, otherwise known as remotely operated vehicles or ROVs. Submersibles have many uses worldwide, such as oceanography, underwater archaeology, ocean exploration, adventure, equipment maintenance and recovery, and underwater videography. Remotely operated vehicles are vehicles which are controlled by an operator who is not in the vehicle. These can be operated by radio control, or through a cable or line connecting the vehicle to the operators location. Although experimental submarines had been built before, submarine design took off during the 19th century, and they were adopted by several navies. 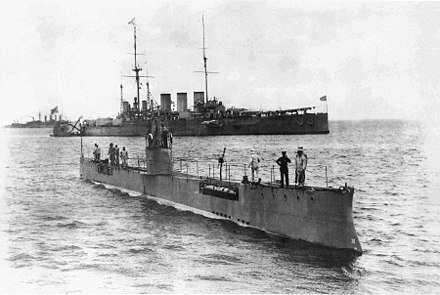 Submarines were first widely used during World War I (1914–1918), and are now used in many navies large and small. Military uses include attacking enemy surface ships (merchant and military), attacking other submarines, aircraft carrier protection, blockade running, ballistic missile submarines as part of a nuclear strike force, reconnaissance, conventional land attack (for example using a cruise missile), and covert insertion of special forces. Civilian uses for submarines include marine science, salvage, exploration and facility inspection and maintenance. Submarines can also be modified to perform more specialized functions such as search-and-rescue missions or undersea cable repair. 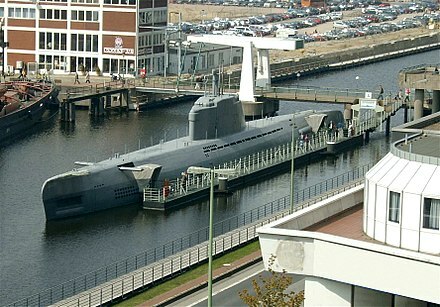 Submarines are also used in tourism, and for undersea archaeology. A navy or maritime force is the branch of a nation's armed forces principally designated for naval and amphibious warfare; namely, lake-borne, riverine, littoral, or ocean-borne combat operations and related functions. It includes anything conducted by surface ships, amphibious ships, submarines, and seaborne aviation, as well as ancillary support, communications, training, and other fields. The strategic offensive role of a navy is projection of force into areas beyond a country's shores. The strategic defensive purpose of a navy is to frustrate seaborne projection-of-force by enemies. The strategic task of the navy also may incorporate nuclear deterrence by use of submarine-launched ballistic missiles. Naval operations can be broadly divided between riverine and littoral applications, open-ocean applications, and something in between, although these distinctions are more about strategic scope than tactical or operational division. A periscope is an instrument for observation over, around or through an object, obstacle or condition that prevents direct line-of-sight observation from an observer's current position. In naval parlance, the sail or fin of a submarine is the tower-like structure found on the dorsal (topside) surface of submarines. Submarine sails once housed the conning tower, the periscope(s), radar and communications masts (antenna), though most of these functions have now been relocated to the hull proper. In the US Navy, the structure is frequently called a fairwater, and diving planes mounted on it are called fairwater planes. A conning tower is a raised platform on a ship or submarine, often armored, from which an officer in charge can conn the vessel, controlling movements of the ship by giving orders to those responsible for the ship's engine, rudder, lines, and ground tackle. It is usually located as high on the ship as practical, to give the conning team good visibility of the entirety of the ship, ocean conditions, and other vessels. 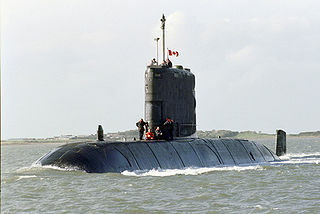 Submarines have one of the widest ranges of types and capabilities of any vessel. They range from small autonomous examples and one- or two-person vessels that operate for a few hours, to vessels that can remain submerged for six months—such as the Russian Typhoonclass, the biggest submarines ever built. Submarines can work at greater depths than are survivable or practical for human divers. Modern deep-diving submarines derive from the bathyscaphe, which in turn evolved from the diving bell. The Project 941 or Akula class submarine is a type of nuclear-powered ballistic missile submarine deployed by the Soviet Navy in the 1980s. With a submerged displacement of 48,000 tonnes, the Typhoons are the largest submarines ever built, able to accommodate comfortable living facilities for the crew when submerged for months on end. The source of the NATO reporting name remains unclear, although it is often claimed to be related to the use of the word "typhoon" ("тайфун") by General Secretary Leonid Brezhnev of the Communist Party in a 1974 speech while describing a new type of nuclear ballistic missile submarine, as a reaction to the United States Navy's new Ohio-class submarine. 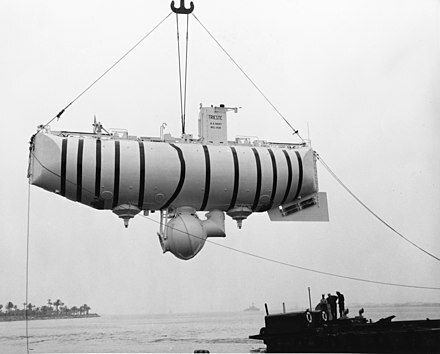 A bathyscaphe is a free-diving self-propelled deep-sea submersible, consisting of a crew cabin similar to a bathysphere, but suspended below a float rather than from a surface cable, as in the classic bathysphere design. A naval tradition is a tradition that is, or has been, observed in one or more navies. Drebbel , an early submersible craft, propelled by oars. Jean Taisner was a musician, astrologer, and self-styled mathematician who published a number of works. In 1866, the Flach was built at the request of the Chilean government, by Karl Flach, a German engineer and immigrant. It was the fifth submarine built in the world  and, along with a second submarine, was intended to defend the port of Valparaiso against attack by the Spanish navy during the Chincha Islands War. The first submarine not relying on human power for propulsion was the French Plongeur (Diver), launched in 1863, which used compressed air at 180 psi (1241 kPa). Narcís Monturiol designed the first air–independent and combustion–powered submarine, Ictineo II , which was launched in Barcelona, Spain in 1864. The submarine became a potentially viable weapon with the development of the Whitehead torpedo, designed in 1866 by British engineer Robert Whitehead, the first practical self-propelled or 'locomotive' torpedo. The spar torpedo that had been developed earlier by the Confederate navy was considered to be impracticable, as it was believed to have sunk both its intended target, and probably H. L. Hunley, the submarine that deployed it. Akula (launched in 1907) was the first Russian submarine able to cruise long distances. The Imperial Japanese Navy operated the most varied fleet of submarines of any navy, including Kaiten crewed torpedoes, midget submarines (Type A Ko-hyoteki and Kairyuclasses), medium-range submarines, purpose-built supply submarines and long-range fleet submarines. They also had submarines with the highest submerged speeds during World War II (I-201-class submarines) and submarines that could carry multiple aircraft (I-400-class submarines). They were also equipped with one of the most advanced torpedoes of the conflict, the oxygen-propelled Type 95. Nevertheless, despite their technical prowess, Japan chose to use its submarines for fleet warfare, and consequently were relatively unsuccessful, as warships were fast, maneuverable and well-defended compared to merchant ships. 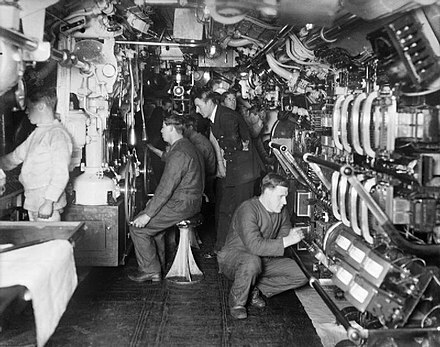 The Royal Navy Submarine Service was used primarily in the classic Axis blockade. Its major operating areas were around Norway, in the Mediterranean (against the Axis supply routes to North Africa), and in the Far East. In that war, British submarines sank 2 million tons of enemy shipping and 57 major warships, the latter including 35 submarines. Among these is the only documented instance of a submarine sinking another submarine while both were submerged. 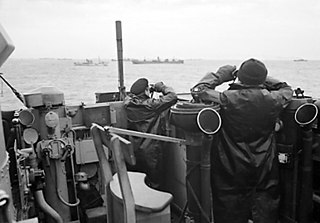 This occurred when HMS Venturer engaged U-864; the Venturer crew manually computed a successful firing solution against a three-dimensionally maneuvering target using techniques which became the basis of modern torpedo computer targeting systems. Seventy-four British submarines were lost,  the majority, forty-two, in the Mediterranean. The first launch of a cruise missile (SSM-N-8 Regulus) from a submarine occurred in July 1953, from the deck of USS Tunny, a World War II fleet boat modified to carry the missile with a nuclear warhead. Tunny and its sister boat, Barbero, were the United States' first nuclear deterrent patrol submarines. In the 1950s, nuclear power partially replaced diesel-electric propulsion. Equipment was also developed to extract oxygen from sea water. These two innovations gave submarines the ability to remain submerged for weeks or months. Most of the naval submarines built since that time in the US, the Soviet Union/Russian Federation, Britain, and France have been powered by nuclear reactors. 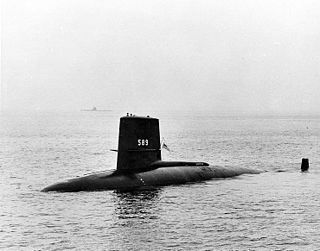 In 1959–1960, the first ballistic missile submarines were put into service by both the United States (George Washingtonclass) and the Soviet Union (Golfclass) as part of the Cold War nuclear deterrent strategy. During India's intervention in the Bangladesh Liberation War, the Pakistan Navy's Hangor sank the Indian frigate INS Khukri. 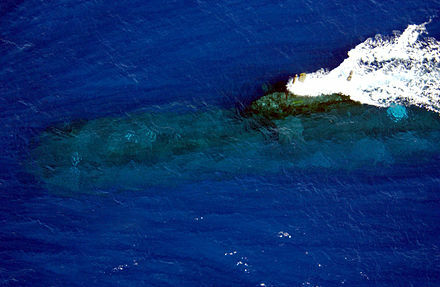 This was the first sinking by a submarine since World War II. During the same war, the Ghazi, a Tench-class submarine on loan to Pakistan from the US, was sunk by the Indian Navy. 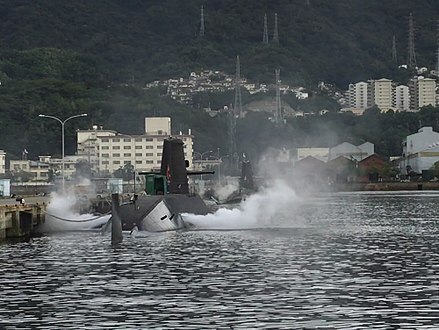 It was the first submarine combat loss since World War II. In 1982 during the Falklands War, the Argentine cruiser General Belgrano was sunk by the British submarine HMS Conqueror, the first sinking by a nuclear-powered submarine in war. EML Lembit in the Estonian Maritime Museum. The Lembit is the only minelayer submarine of its series left in the world. The Submarine Voyage ride opened at Disneyland in 1959, but although it ran under water it was not a true submarine, as it ran on tracks and was open to the atmosphere. The first tourist submarine was Auguste Piccard, which went into service in 1964 at Expo64. By 1997 there were 45 tourist submarines operating around the world. Submarines with a crush depth in the range of 400–500 feet (120–150 m) are operated in several areas worldwide, typically with bottom depths around 100 to 120 feet (30 to 37 m), with a carrying capacity of 50 to 100 passengers. 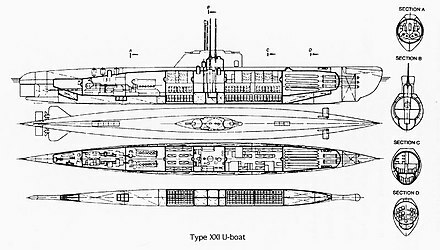 U-995, Type VIIC/41 U-boat of World War II, showing the ship-like lines of the outer hull for surface travel, blended into the cylindrical pressure hull structure. Modern submarines and submersibles, as well as the oldest ones, usually have a single hull. 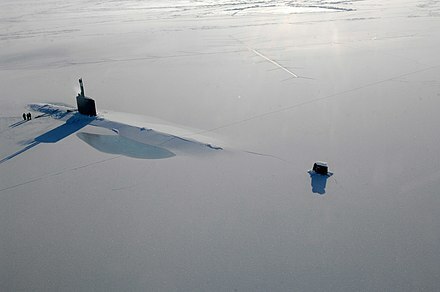 Large submarines generally have an additional hull or hull sections outside. This external hull, which actually forms the shape of submarine, is called the outer hull ( casing in the Royal Navy) or light hull, as it does not have to withstand a pressure difference. Inside the outer hull there is a strong hull, or pressure hull, which withstands sea pressure and has normal atmospheric pressure inside. The pressure hull is generally constructed of thick high-strength steel with a complex structure and high strength reserve, and is separated with watertight bulkheads into several compartments. There are also examples of more than two hulls in a submarine, like the Typhoonclass, which has two main pressure hulls and three smaller ones for control room, torpedoes and steering gear, with the missile launch system between the main hulls. The dive depth cannot be increased easily. Simply making the hull thicker increases the weight and requires reduction of onboard equipment weight, ultimately resulting in a bathyscaphe . This is acceptable for civilian research submersibles, but not military submarines. 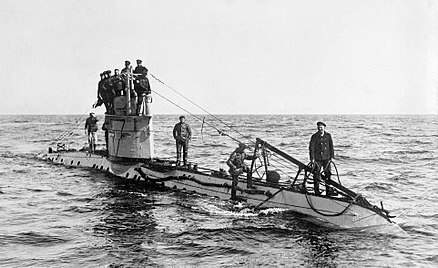 WWI submarines had hulls of carbon steel, with a 100-metre (330 ft) maximum depth. During WWII, high-strength alloyed steel was introduced, allowing 200-metre (660 ft) depths. High-strength alloy steel remains the primary material for submarines today, with 250–400-metre (820–1,310 ft) depths, which cannot be exceeded on a military submarine without design compromises. To exceed that limit, a few submarines were built with titanium hulls. Titanium can be stronger than steel, lighter, and is not ferromagnetic, important for stealth. Titanium submarines were built by the Soviet Union, which developed specialized high-strength alloys. 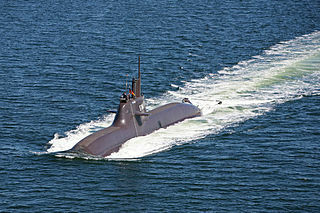 It has produced several types of titanium submarines. 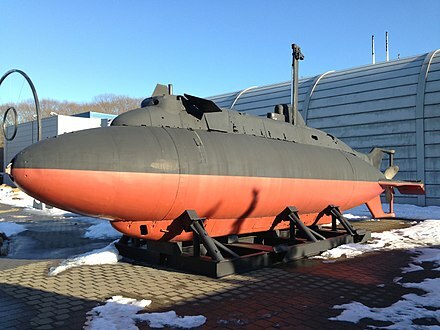 Titanium alloys allow a major increase in depth, but other systems must be redesigned to cope, so test depth was limited to 1,000 metres (3,300 ft) for the Soviet submarine K-278 Komsomolets, the deepest-diving combat submarine. 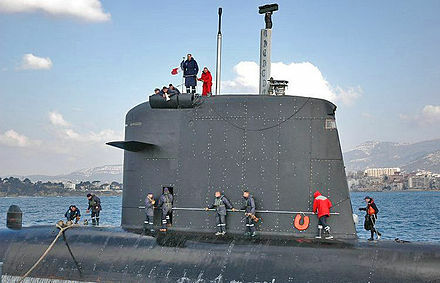 An Alfa-class submarine may have successfully operated at 1,300 metres (4,300 ft),  though continuous operation at such depths would produce excessive stress on many submarine systems. Titanium does not flex as readily as steel, and may become brittle after many dive cycles. Despite its benefits, the high cost of titanium construction led to the abandonment of titanium submarine construction as the Cold War ended. Deep–diving civilian submarines have used thick acrylic pressure hulls. The deepest deep-submergence vehicle (DSV) to date is Trieste. On 5 October 1959, Trieste departed San Diego for Guam aboard the freighter Santa Maria to participate in Project Nekton , a series of very deep dives in the Mariana Trench. On 23 January 1960, Trieste reached the ocean floor in the Challenger Deep (the deepest southern part of the Mariana Trench), carrying Jacques Piccard (son of Auguste) and Lieutenant Don Walsh, USN. This was the first time a vessel, manned or unmanned, had reached the deepest point in the Earth's oceans. The onboard systems indicated a depth of 11,521 metres (37,799 ft), although this was later revised to 10,916 metres (35,814 ft) and more accurate measurements made in 1995 have found the Challenger Deep slightly shallower, at 10,911 metres (35,797 ft). Nuclear power is now used in all large submarines, but due to the high cost and large size of nuclear reactors, smaller submarines still use diesel-electric propulsion. The ratio of larger to smaller submarines depends on strategic needs. The US Navy, French Navy, and the British Royal Navy operate only nuclear submarines,   which is explained by the need for distant operations. Other major operators rely on a mix of nuclear submarines for strategic purposes and diesel-electric submarines for defense. Most fleets have no nuclear submarines, due to the limited availability of nuclear power and submarine technology. Diesel-electric submarines have a stealth advantage over their nuclear counterparts. Nuclear submarines generate noise from coolant pumps and turbo-machinery needed to operate the reactor, even at low power levels. 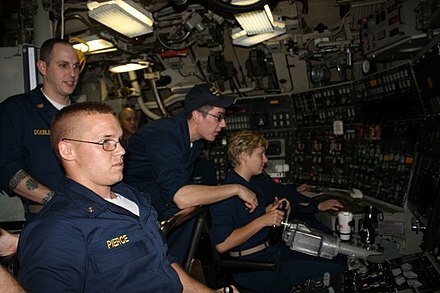 Some nuclear submarines such as the American Ohioclass can operate with their reactor coolant pumps secured, making them quieter than electric subs. A conventional submarine operating on batteries is almost completely silent, the only noise coming from the shaft bearings, propeller, and flow noise around the hull, all of which stops when the sub hovers in mid-water to listen, leaving only the noise from crew activity. Commercial submarines usually rely only on batteries, since they operate in conjunction with a mother ship. Fresh water is produced by either an evaporator or a reverse osmosis unit. The primary use for fresh water is to provide feedwater for the reactor and steam propulsion plants. It is also available for showers, sinks, cooking and cleaning once propulsion plant needs have been met. Seawater is used to flush toilets, and the resulting "black water" is stored in a sanitary tank until it is blown overboard using pressurized air or pumped overboard by using a special sanitary pump. The blackwater–discharge system is difficult to operate, and the German Type VIIC boat U-1206 was lost with casualties because of human error while using this system. Water from showers and sinks is stored separately in "grey water" tanks and discharged overboard using drain pumps. The United States Navy, United States Coast Guard, and United States National Oceanic and Atmospheric Administration (NOAA) use a hull classification symbol to identify their ships by type and by individual ship within a type. The system is analogous to the pennant number system that the Royal Navy and other European and Commonwealth navies use. USS Simon Bolivar (SSBN-641), a Benjamin Franklin class fleet ballistic missile submarine, was the only ship of the United States Navy to be named for Simón Bolívar (1783–1830), a hero of the independence movements of the former Spanish colonies in South America. USS Scorpion (SSN-589) was a Skipjack-class nuclear submarine of the United States Navy and the sixth vessel of the U.S. Navy to carry that name. Scorpion was lost on 22 May 1968, with 99 crewmen dying in the incident. USS Scorpion is one of two nuclear submarines the U.S. Navy has lost, the other being USS Thresher. It was one of four mysterious submarine disappearances in 1968, the others being the Israeli submarine INS Dakar, the French submarine Minerve and the Soviet submarine K-129. The Balao class was a successful design of United States Navy submarine used during World War II, and with 120 units completed, the largest class of submarines in the United States Navy. An improvement on the earlier Gato class, the boats had slight internal differences. The most significant improvement was the use of thicker, higher yield strength steel in the pressure hull skins and frames, which increased their test depth to 400 feet (120 m). Tang actually achieved a depth of 612 ft (187 m) during a test dive, and exceeded that test depth when taking on water in the forward torpedo room while evading a destroyer. Seaview, a fictional privately owned nuclear submarine, was the setting for the 1961 motion picture Voyage to the Bottom of the Sea, starring Walter Pidgeon, and later for the 1964–1968 ABC television series of the same title. The V-boats were a group of nine United States Navy submarines built between World War I and World War II from 1921 to 1934. 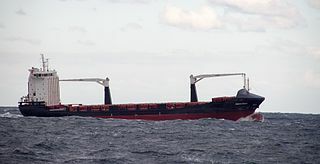 These were not a ship class in the usual sense of a series of nearly identical ships built from the same design, but shared authorization under the "fleet boat" program. The term "V-boats" as used includes five separate classes of submarines. They broke down into three large, fast fleet submarines, three large long-range submarines, and three medium-sized submarines. The successful fleet submarines of World War II were descended from the last three, especially V-7, though somewhat larger with pure diesel-electric propulsion systems. The United States' S-class submarines, often simply called S-boats, were the first class of submarines with a significant number built to United States Navy designs. Others of this class were built to contractor designs. 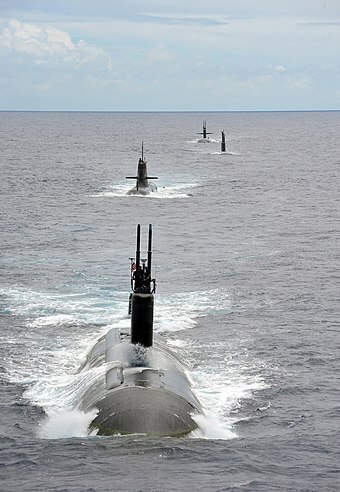 There are three major types of submarines in the United States Navy: ballistic missile submarines, attack submarines, and cruise missile submarines. 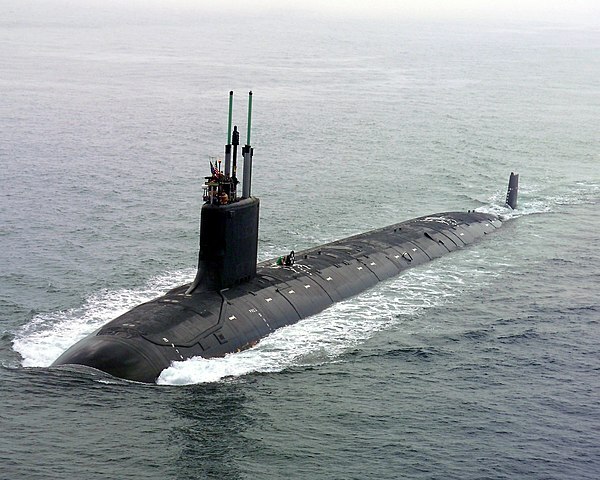 All submarines in the U.S. Navy are nuclear-powered. Ballistic missile submarines have a single strategic mission of carrying nuclear submarine-launched ballistic missiles. Attack submarines have several tactical missions, including sinking ships and subs, launching cruise missiles, and gathering intelligence. Air-independent propulsion (AIP) is any marine propulsion technology that allows a non-nuclear submarine to operate without access to atmospheric oxygen. AIP can augment or replace the diesel-electric propulsion system of non-nuclear vessels. 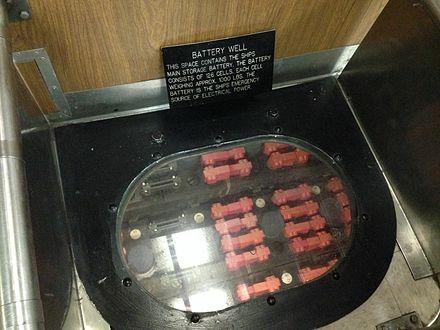 An elektroboot was a submarine designed to operate entirely submerged, rather than as submersibles that could submerge as a temporary means to escape detection or launch an attack. Anti-submarine warfare is a branch of underwater warfare that uses surface warships, aircraft, or other submarines to find, track, and deter, damage, or destroy enemy submarines. Beginning in ancient times, mankind sought to operate under the water. From simple submersibles to nuclear-powered underwater behemoths, humans have searched for a means to remain safely underwater to gain the advantage in warfare, resulting in the development of the submarine. The Balilla class were the first submarines to be built for the Italian navy following the end of World War I. They were large ocean-going cruiser submarines designed to operate in the Indian Ocean based in Italy's East African colonies. The design was double-hulled and based on the German Type UE 2 U-boats, one of which, U-120 was supplied to the Italians as a war reparation. A 425 horsepower (317 kW) auxiliary diesel engine was installed as an extra generator. A semi-submersible naval vessel is a hybrid warship, that combines the properties of a surface ship and submarine by using water ballast to partially immerse and minimize its above-waterline profile, thereby improving its stealth characteristics when in hostile waters. The USS Monitor was an antecedent to such craft with its low-profile deck and gun turret. Russian and North Korean semi-submersible naval vessels evolved from torpedo boats and special forces boats that could partially submerge to perform their missions. The US Navy SEALs use such vessels for clandestine special forces actions. Efforts to embody advantageous surface-ship characteristics into submarines have not been widely adopted. The French submarine Mariotte (Q74) was a submarine built for the French Navy prior to World War I. Intended to accompany the fleet, she was designed for high speed on the surface. 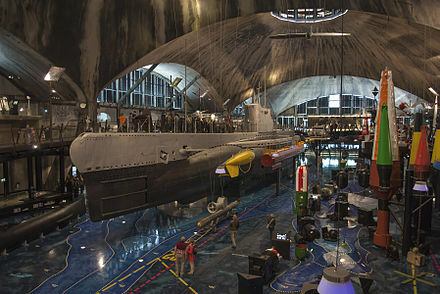 Although the navy was unsatisfied with her performance on the surface, the boat had a higher underwater speed than any French submarine before or during the following 35 years. Mariotte was plagued with engine problems during her construction and the navy spent years fixing the various issues before finally commissioning her five years after beginning construction. During the war, she participated in the Dardanelles Campaign, but had to be scuttled after she became entangled in the cables of a minefield on her first attempt to penetrate the Dardanelles. French submarine Narval (“Narwhal”) was a pioneering vessel of the French Navy, designed by Maxime Laubeuf and built at the end of the 19th century. She was designed in response to a competition set by the French Admiralty and had several revolutionary features which set the pattern for submarines for the next 50 years. ↑ "Worlds Biggest Submarine" . Retrieved 21 May 2013. ↑ Editors (2019). "Submarine -- definition". Oxford Dictionaries | English. Retrieved 2019-04-05. ↑ Gugliotta, Bobette (2014-02-17). Pigboat 39: An American Sub Goes to War. University Press of Kentucky. ISBN 9780813146317. ↑ Gabler, Ulrich (1997). Unterseebootbau (in German) (4th ed.). Koblenz: Bernard und Graefe. ISBN 3763759581. OCLC 75848309. ↑ Bagnasco, Erminio (1988). Uboote im 2. 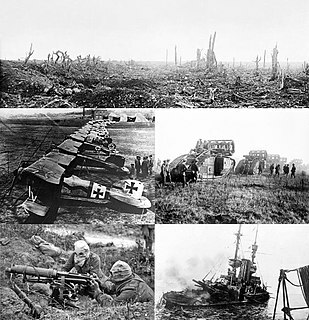 Weltkrieg : Technik - Klassen - Typen : eine umfassende Enzyklopädie (1st ed.). Stuttgart: Motorbuch-Verl. ISBN 3613012529. OCLC 220666123. ↑ ИнфоРост, Н. П. ГПИБ | Томашевич А. В. Подводные лодки в операциях русского флота на Балтийском море в 1914-1915 г.г. - М.; Л., 1939. elib.shpl.ru. Retrieved 2019-04-06. 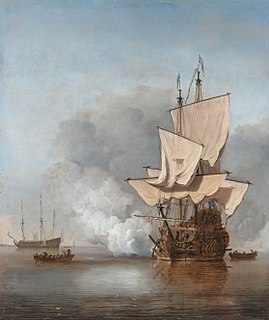 ↑ "Espańa, Precursora de la Navegación Submarina". ABC . March 7, 1980. Archived from the original on July 21, 2015. ↑ Mary Bellis. 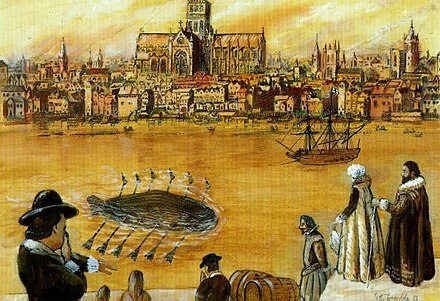 "The Invention Of The Submarine" . Retrieved 16 April 2014. ↑ "Recovering Chile's 19th Century Shipwrecks in Valparaiso's Port". The Santiago Times. 2006-11-25. Archived from the original on January 24, 2008. Retrieved 2007-04-17. ↑ Bowers, Paul (1999). 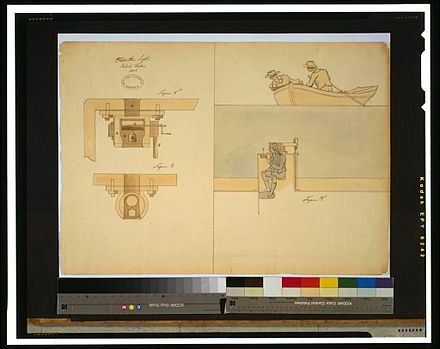 The Garrett Enigma and the Early Submarine Pioneers. Airlife. p. 167. ISBN 978-1-84037-066-9. ↑ "1915-1926: K Class". RN Subs. Barrow Submariners Association. Retrieved 24 February 2019. ↑ Tony Long (10 May 2007). "10 May 1960: USS Triton Completes First Submerged Circumnavigation". Wired.com. Retrieved 18 April 2010. ↑ Finlan, Alastair (2004). The Royal Navy in the Falklands Conflict and the Gulf War: Culture and Strategy. British Politics and Society. 15. London: Psychology Press. p. 214. ISBN 978-0-7146-5479-9. ↑ "Sail Away - The Last Voyages of the Disneyland Submarines" . Retrieved 2010-04-24. ↑ Nave, R. "Bulk Elastic Properties". HyperPhysics. Georgia State University . Retrieved 26 October 2007. ↑ Navy, United States (September 2008). The Submarine. United States Printing Office. ISBN 978-1-935327-44-8. ↑ "BOE.es – Documento BOE-A-1999-11194". ↑ Benton PJ, Francis TJ, Pethybridge RJ (1999). "Spirometric indices and the risk of pulmonary barotrauma in submarine escape training". Undersea and Hyperbaric Medicine Journal. 26 (4): 213–7. PMID 10642066 . Retrieved 15 March 2013. ↑ Weathersby, PK; Survanshi, SS; Parker, EC; Temple, DJ; Toner, CB (1999). "Estimated DCS Risks in Pressurized Submarine Rescue". US Naval Medical Research Center Technical Report. NMRC 1999-04. Retrieved 15 March 2013. 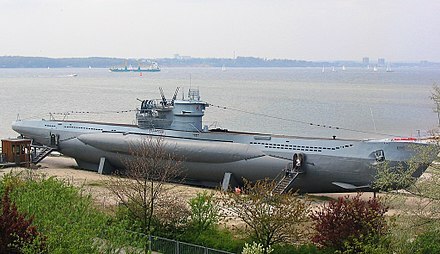 Wikimedia Commons has media related to Submarines .